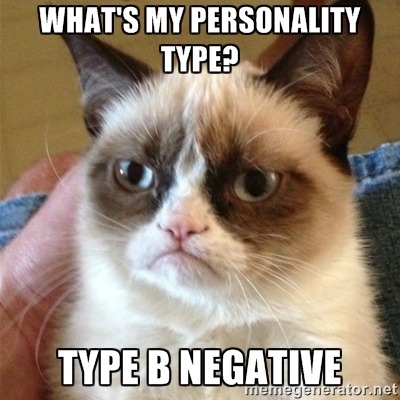 It can be difficult to pinpoint your specific personality type, because we aren't one-dimensional people. You probably don't have time to stop and ponder your personal traits often, but your personality can have a great deal of impact on your career-and your success in it. There are a ton of different personality tests out there and you might already be familiar with some of them. You may already know you're an INFP or an ENTP, based on the Myers-Briggs personality assessment. Or maybe you've tested as a green, or a blue personality type. 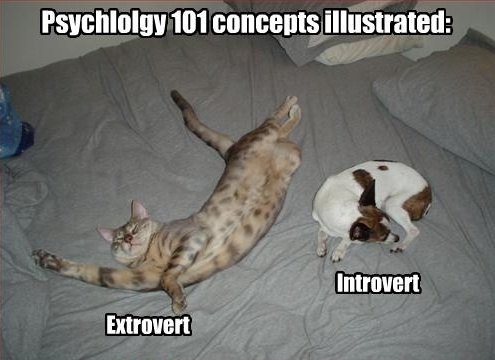 I'm guessing you probably have a pretty good idea whether you identify most as an extrovert, introvert or ambivert. Many workplaces do this personality testing as a part of professional development, enabling coworkers to better understand and communicate with one another. Outside of those collaborative benefits, knowing your personality strengths can help drive you into a career that's really cut out for you. 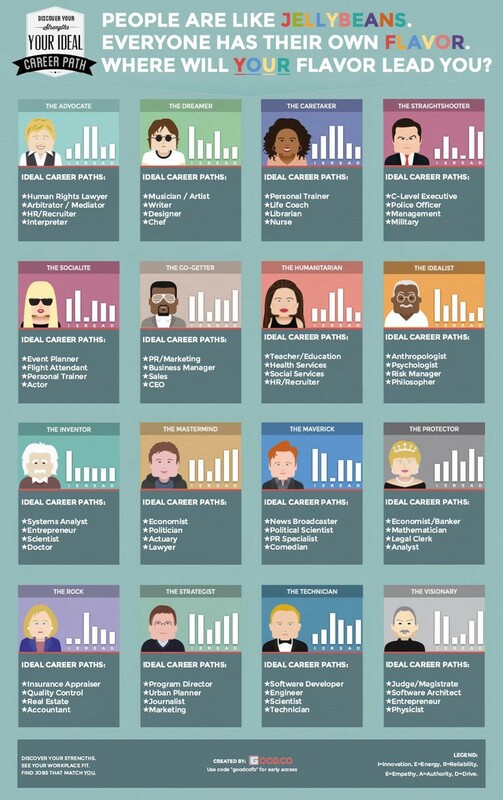 An infographic from Good.co highlights the career paths that may best fit specific personaity traits, illustrated in 16 different personality profiles. For example, are you a "Socialite" like Kim Kardashian? If so, think about a career as an actor, event planner, or personal trainer. Or maybe you share a "Maverick" personality with the likes of Conan O'Brien. These types of people are best suited for the limelight. Think comedians, news broadcasters, and PR specialists. Those with a "Humanitarian" personality make great teachers and recruiters, and work well in healthcare and social services. "Visionaries" make great judges,entrepreneurs, and software architects. Personally, I am kind of an "inventor" personality; remarkable at innovative thinking, but unremarkable at pretty much all of the other traits listed. 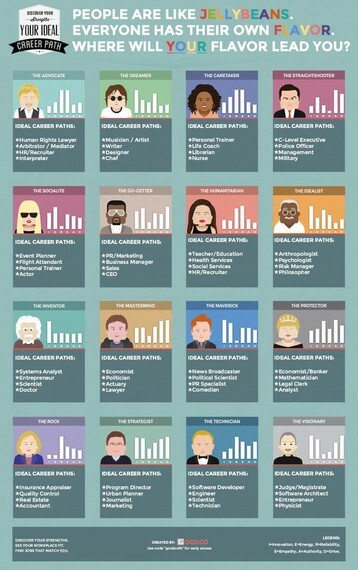 It's kind of cool that it says the best career for that type of person is "entrepreneur" and "systems" (my background is electrical engineering). As far as my personality and career are concerned, this is dead on!